Many items have multiple options available, such as fabric or finish. Prices and availability may vary based on option chosen. Items may be pictured differently from how we carry it in our store. Call 936-967-2600 with questions! Gel Memory Foam, like all Memory Foams, molds to your shape and provides support and pressure relief. 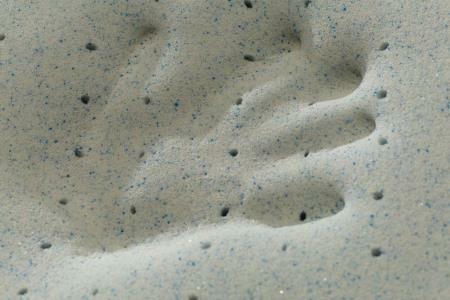 Infusing Memory with Gel Beads advances the Memory Foam to give it more support and provides a cooler feel to the foam. This mattress ships compressed in a smaller box making it easy to transport. The M673 Chime 10 Elite Queen 10" Gel Memory Foam Mattress by Sierra Sleep at Pedigo Furniture in the Livingston, Onalaska, Trinity, Coldspring, Corrigan, Huntsville, TX area. Product availability may vary. Contact us for the most current availability on this product. The Chime Elite 10" Gel Memory Foam Mattress, provides an all foam mattress at a great value price. A high density foam core supports a layer of Gel Memory Foam, for added support, pressure relief and a cooler sleep surface. This mattress is shipped in an easy to handle box making it ideal for rooms with tight entry space. The M673 Chime 10 Elite collection is a great option if you are looking for Mattresses in the Livingston, Onalaska, Trinity, Coldspring, Corrigan, Huntsville, TX area.